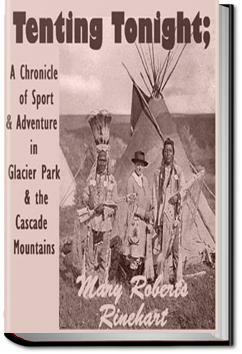 This is the second of two travelogues published by Mary Roberts Rinehart. Both deal with Glacier National Park, and this book also deals with the Cascade Mountains (The other is entitled Through Glacier Park). Rinehart wrote hundreds of short stories, poems, travelogues and articles, though she is most famous for her mystery stories. The region that became Glacier National Park was first inhabited by Native Americans and upon the arrival of European explorers, was dominated by the Blackfeet in the east and the Flathead in the western regions. . . .eturn an hour later with a six-inch trout, a bandaged hand, a hundred and eighty mosquito bites, no leaders, and no smile. Fun to see the PNW through the eyes of the past. How I would have loved to see the unspoiled land and fished in pristine waters. Now the bull trout is almost fished to extinction. Sad. I enjoyed this very much. Lacking important detail. Interesting to read the perspective of the era.